Dragon Ball games are for Dragon Ball fans. Fighting games are for fighting game fans. Dragon Ball FighterZ is both of those things, and it’s for everybody. This piece originally appeared 1/30/18. We’re bumping it today for the game’s release on Switch. Combining a beloved series spanning 34 years of manga volumes and anime episodes with a game genre known for complex maneuvers and mechanics, developer Arc System Works had plenty of opportunities to make its first non-portable Dragon Ball game an over-complicated mess. It could have flooded the game with same-y characters like 2007's Dragon Ball Z: Budokai Tenkaichi 3, or saddled it with convoluted controls (also like Budokai Tenkaichi 3). But Arc System Works kept it simple. Dragon Ball FighterZ is a 2D fighting game with only 24 characters at launch and a fighting system where the most complicated move is a quarter-circle forward or back. It’s easy to find a favorite character or three to participate in the game’s three-on-three tag team battles. And it’s easy to make them perform the spectacular special moves fans have been drooling over since the game was announced last June. Official Snacktaku mascot, Android 21. Mind you there’s nothing simple about Dragon Ball FighterZ’s visuals. Built using a process Arc System Works pioneered for Guilty Gear Xrd, each character is a 3D model painstakingly textured to look like a 2D sprite. The method gives the characters a gorgeous hand drawn look while allowing for dramatic camera movement that gives special moves cinematic flair. It’s a whole lot of work, but I can’t argue with the results. 3D makes 2D look so good. The time-consuming modeling, texturing and animation process likely played a part in the game’s limited fighter roster. Long-time fans of the Dragon Ball series and its various video game incarnations may be disappointed by the absence of some of their favorite heroes and villains. As someone who hasn’t watched much Dragon Ball, I find the small selection refreshing. Completed story mode in 10 hours. Participated in many ranked, casual and arena matches online. Dabbled in arcade and local versus mode. Did I say I’ve not watched much Dragon Ball? Let me clarify. Prior to the release of Dragon Ball FighterZ, I’d not watched a single full episode of Dragon Ball, Dragon Ball Z, Dragon Ball GT or Super. I’ve caught snippets here and there—my nephew was trying to get my sons into the DBZ, which lasted until they started hitting each other—but otherwise I’m a Dragon Ball anime virgin. My Dragon Ball knowledge comes from video games. Between the Budokai, Budokai Tenkaichi, Burst Limit and Xenoverse series, I’ve bounced back and forth from the Saiyan Saga to Kid Buu countless times. I know the characters. I know who fights whom and when. I’m invested in the story to an extent, but that’s never been enough to get me to watch the show. I’m now on episode four of Dragon Ball Kai. I blame Dragon Ball FighterZ. For making me watch the show, not Goku’s death. That was Raditz. Well, Piccolo through Raditz (literally). Wonder who’ll be in those empty spaces on the sides. Dragon Ball FighterZ made me want to learn more about the series. That’s partly due to the game’s small stable of fighters. It’s much easier for me to pay attention to and care about 24 characters (technically 21, since Vegeta, Goku and Gohan show up twice) than the massive rosters found in older Dragon Ball games. The scripted interactions between characters found peppered throughout the game’s various modes have also played a big part in my cartoon-watcher conversion. Intriguing exchanges between certain combinations of characters prior to the beginning of battles left me eager to find out what they were all about. Cutscenes triggered during the game’s surprisingly good story mode showcase layered character relationships I didn’t know existed. And here I thought it was all shouting and fighting. It’s that simple. Just don’t try spamming this against a more seasoned player, as they will eat your lunch. That said, Dragon Ball FighterZ’s fighting and shouting game is quite strong, yet wonderfully accessible. There are light, medium and heavy attack buttons, each of which can be tapped in quick succession (or mashed) to automatically string together a combo of moves. The special attack button generally fires projectiles while pressed. Left trigger handles swapping characters in and out of battle and assists. The right button and trigger takes care of Dragon Rushes (block-breaking throws), homing Super Dashes and tide-turning Sparking Blasts, which recover health and increase damage for a brief period. 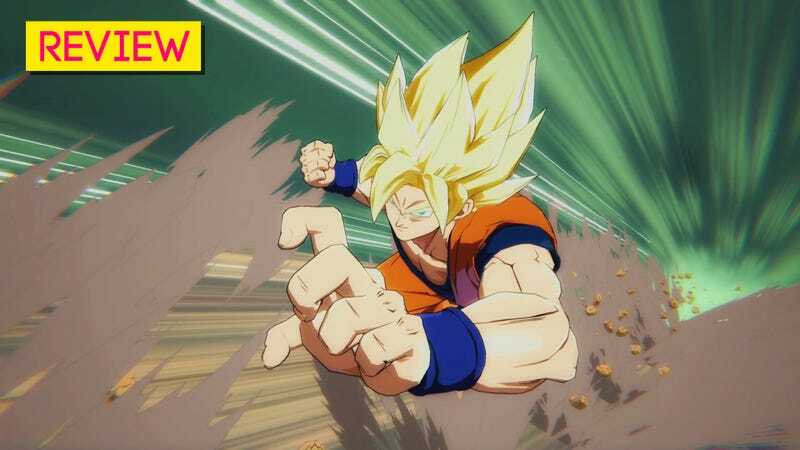 Toss in some quarter circle front and back movement to activate super attacks and some special moves, and that’s all a new player needs to know in order to be able to put up an okay fight. An okay fight is probably not going to be enough, especially with pro players like SonicFox already plumbing the depths of the fighting system for advanced techniques. But it’s a happy place from which to start building up a respectable win-loss ratio and transition into more advanced techniques. PC setup essentials: Fight stick for those quarter-circles (still rocking that shiny new Hori Fighting Edge), men’s vitamins (do not use if female, you will die), platform o delicately raise monitor and keyboard, owl scented wax burner to set the mood, Olay Silky Berry body lotion to make it hard for opponents to land grabs and flash of “juice” in case of repeated losses. No matter who is playing, the battles in Dragon Ball FighterZ are always a brilliant spectacle (even with the PC settings turned way down low). It’s like watching a regular fighting game with heightened senses—everything is brighter, louder and more impactful. Arc System Works’ signature distorted electric guitar riffs get the blood pumping, and then the hits keep coming. Even Hit’s saxxy theme cannot escape those electric guitars. The blazing-fast battles don’t slow down for the internet, either. 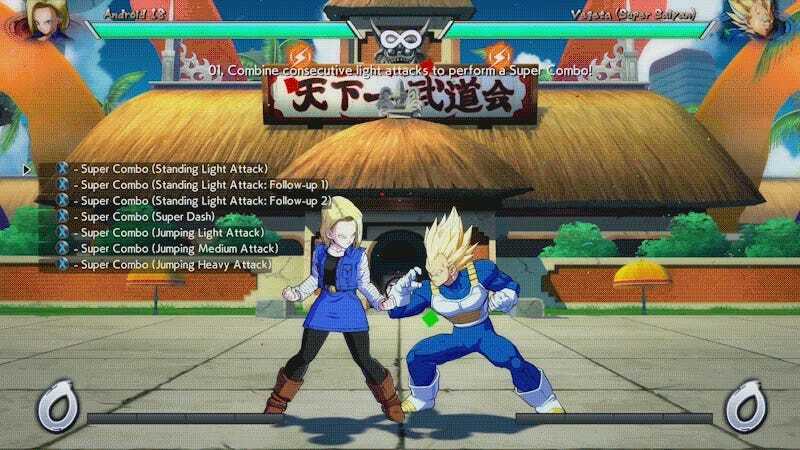 Dragon Ball FighterZ’s netcode is super-tight. Once you’re connected to another player and the match starts, it’s usually smooth sailing. It’s the getting connected to another player that’s the tricky part. Dragon Ball FighterZ’s biggest strength is its simplicity. When it tries to get complex, like its onerous online multiplayer lobby system, it stumbles. Rather than a traditional menu system, the game requires players to connect to virtual lobbies in order to play online. 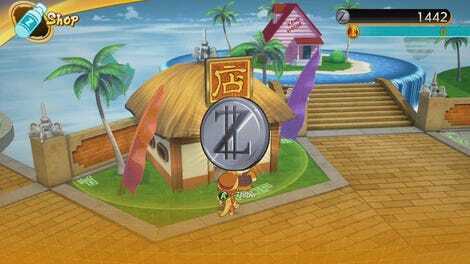 It’s a cute little system, a virtual menu/social space filled with players decked out in chibi Dragon Ball character costumes, but it’s been plagued with problems since the game launched. Matchmaking is slow. Connecting with friends requires them to navigate to the same online lobby, most of which were near or at capacity during the weekend following the game’s release. Instead of being able to create a private lobby for friends, players have to create a private “ring” within a public lobby, a feature that’s been broken for many players. 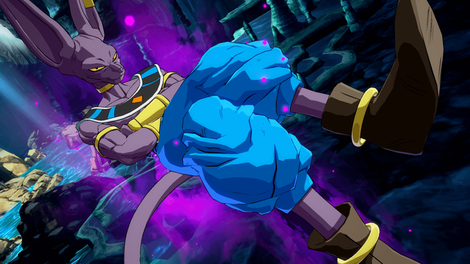 Arc System Works based the lobby system of Dragon Ball FighterZ off the one successfully implemented in their most recent Guilty Gear game (though that game included the ability to create private servers). The problem is what works for a relatively niche fighting game with a small but loyal audience doesn’t work so well for what’s become one of the most popular new fighting games ever—even on PC. Bandai Namco has told Kotaku it’s working with Arc System Works on fixing broken features and improving players’ online experience, so there’s hope, but right now it’s all a bit of a mess. But hey, if a game is going to have a problem, one that stems from rampant popularity isn’t so bad. I was the only one in a Guilty Gear Xrd lobby earlier. It’s about damn time an Arc System Works fighting game got overcrowded. The studio does far too good work to only be seen by a small, dedicated group of fighting game fans. I suppose that small group is getting a lot bigger now. 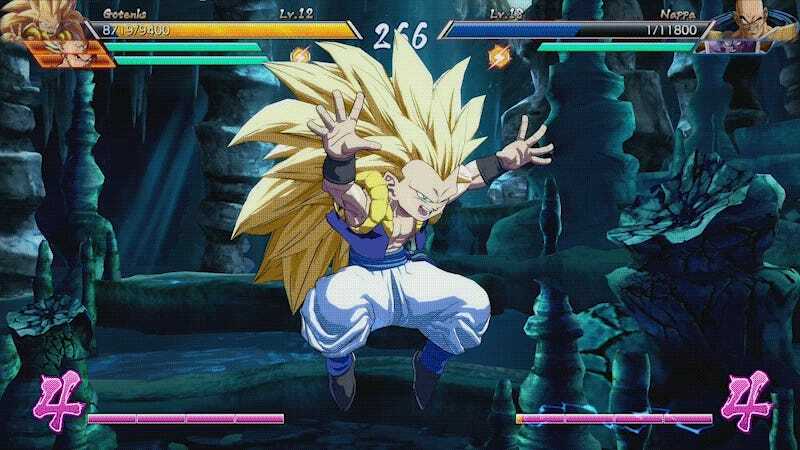 Arc System Works has created the most approachable Dragon Ball game ever, and one of the most accessible fighting games. Fans of either should be overjoyed to welcome newcomers to their ranks, and those newcomers get to experience two of the most accepting and supportive communities in fandom. Everybody wins.